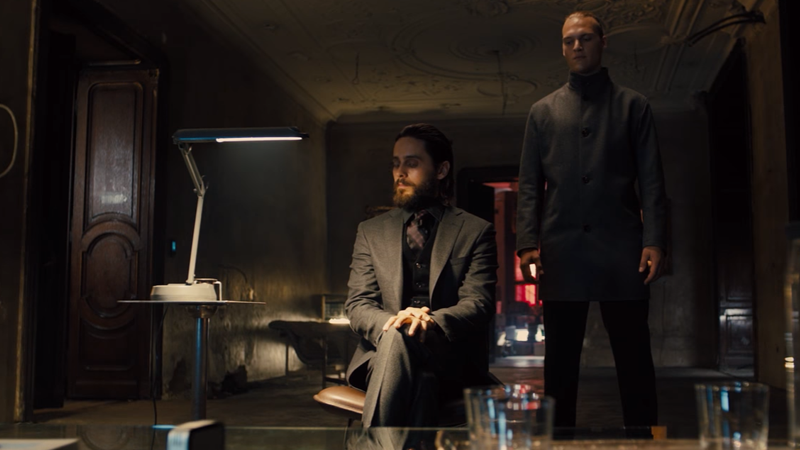 Before the next Blade Runner movie hits theaters, the world of future L.A. will be revealed in a series of short movies set in the years before the events of the film—starting off with this short which delves into the aims of Jared Leto’s creepy new villain, Niander Wallace. Debuted by Collider today, 2036: Nexus Dawn serves as the first of three short prequels that will be released ahead of 2049's arrival in theaters, an extension of the big timeline retrospective that was shown to audiences at San Diego Comic-Con a few months ago. Directed by Morgan’s Luke Scott rather than 2049 director Denis Villeneuve, the short sees Wallace unveil a new line of Replicants, the Nexus 9, who he believes will be able to convince the world to drop the prohibition on replicants (who’ve had a rough time since the events of Blade Runner). But while the new class of replicants can think and feel like any other, they’re also very much under Wallace’s thrall, and he’s got no qualms with asking them to do some pretty messed-up things.